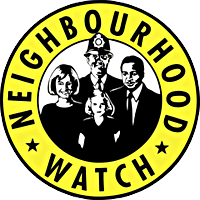 Neighbourhood Watch is not about being a hero, being nosy, becoming a vigilante or working for the police. Our aim is to reduce crime. Being part of an active community helps to deter criminals. We are in regular contact with the Kent police so minor problems can be dealt with before they develop. The police also inform us of crimes committed in the area. We have 20 co-ordinators around Stone and Ebony. Kent Police – 01622 690 690. Call 101 to report a non-urgent crime, or to contact your local officer (no other numbers are required). Call 999 if a crime is in progress or life is in danger. If you are deaf, or speech-impaired, text ‘police’ and your message to 60066. Visit your nearest police station front counter, which is at Tufton Street, Ashford TN23 1BT to report a non-urgent crime.